Stay calm when nature blows up a storm. Central Kentucky’s tornado activity tends to be 88% greater than the overall U.S. activity rate. National Weather Service records show Fayette County receives a tornado every 13 years, on average. With odds like that, it’s only common sense to know exactly what to do if a tornado watch or warning is issued. TORNADO WATCH: Tornadoes are possible in and near the watch area. Stay tuned in and be ready to act quickly if a warning is issued. TORNADO WARNING: A tornado has been sighted or indicated by weather radar. There is imminent danger to life and property. Take shelter immediately. Tornadoes are nature’s most violent storms. Spawned from powerful thunderstorms, tornadoes can cause fatalities and devastate a neighborhood in seconds. A tornado appears as a rotating, funnel-shaped cloud that extends from a thunderstorm to the ground with whirling winds that can reach 300 miles per hour. Damage paths can be in excess of one mile wide and 50 miles long. Tornado intensities are classified on the Enhanced Fujita Scale, with ratings from EF0 (weakest) to EF5 (strongest). They are capable of completely destroying well-made structures, uprooting trees, and hurling objects through the air like deadly missiles. If the forecast indicates the possibility of severe weather, take a few minutes to review your tornado plan and check your preparations. 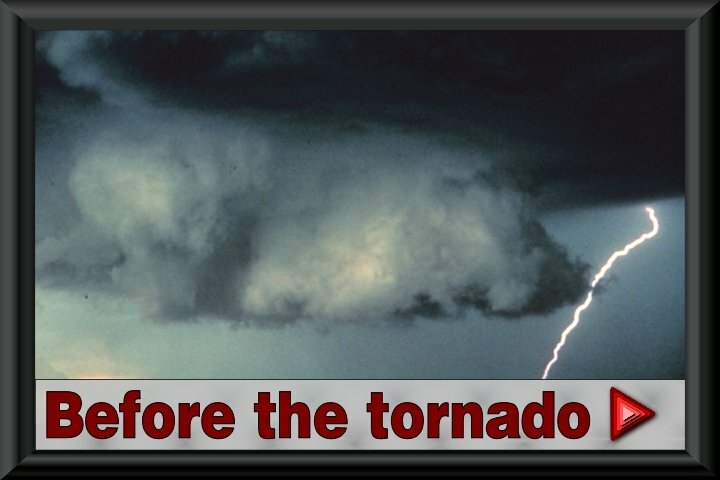 If a tornado watch is issued, pay close attention to the weather and be ready to act. If a tornado warning is issued, execute your tornado action plan immediately! Get a weather radio. It’s the weather equivalent of a smoke detector: inexpensive protection and early warning. Have one in your home. Make sure its backup batteries are good. Then ask your office manager if your workplace has a weather radio, too. Read the weather report. Develop the habit of checking weather forecasts daily during severe weather season. The National Weather Service issues “Hazardous Weather Outlook” reports as part of its seven-day forecast. Know about Lexington’s outdoor warning system. Do you know where the closest tornado warning siren is or what a tornado warning sounds like? The maps and recordings on our siren page may be useful. Have a meeting place. Much like you should have a place where your family meets after evacuating your house in case of fire, you should choose a location where everyone should go after a tornado. Phones may not work after a severe storm, so you can’t plan on being able to coordinate your reunion after the fact. Pick an alternate location, too, in case the primary is damaged or inaccessible. Designate an out-of-town contact. After a disaster, long-distance communications may work even when local calls can’t get through. Designate a far-away relative or friend to serve as a message drop so you can let concerned parties know your status. Save that person as a contact in every cell phone in your family. And make sure your out-of-town contact knows you’ve picked him or her for this duty, too! Pick a safe room. Most injuries in tornadoes come from flying or falling debris. To protect yourself from this, choose an interior room on the lowest level of your house, as far away as possible from windows, doors, and exterior walls. Reduce potential debris. When winds are measured in triple digits, any loose object can become a dangerous projectile. Keep your trees and landscaping well-maintained and free of dead and damaged limbs. When the forecast calls for severe weather, bring inside all lawn furniture, hanging or potted plants, toys, and trash cans. At home or work: Immediately go to your safe room (remember: center of the building, lowest level). Stay as far as you can from windows and exterior walls. On the road or outside: Exit the highway as soon as possible and take shelter in a sturdy building. If there’s no time to exit the highway, stop, get out of your car, and lie flat down in a ditch or low-lying area with your hands covering your head. If no low-lying area is available, get as low as you can on the ground and cover your head. Do not take shelter under a highway overpass (see the NOAA explanation as to why this is a bad idea). Armor up: Use any available means to protect yourself from flying and falling debris. Put on a bike or rollerblading helmet, pull a towel or blanket over your head, put on safety glasses, and get under a table or desk. Your phone is a warning system, too. Once you’re in shelter, send text messages, Facebook status updates, or Twitter updates. This may be the only notification that some people receive if they’re not monitoring conventional media. Don’t rush out. If you aren’t in immediate danger, stay in shelter to protect yourself from falling debris. Dress for safety. Wear long pants, a long-sleeved shirt and sturdy shoes. Work or gardening gloves will help, too. Avoid ignition. When checking for damage, use battery-powered light sources – not candles, lanterns, or other sources of flame. Avoid gas. If you smell gas or hear a blowing or hissing noise, open a window and evacuate the building. Call the gas company or fire department from outside (and upwind). Tune in. Listen to your NOAA weather radio for follow-on information. Monitor social media and local broadcast media for damage reports and instructions from public safety officials. Check in. Call or text your out-of-town contact and let him or her know your status. Sound off. Don’t assume the authorities already know about damage. Your report may be the first one they (or we) receive. Social media and broadcast media will provide contact information for general damage reports. If you find fallen power lines or broken gas lines, report them directly to your utility company. Make records. Take pictures of all damage for insurance claims. Public safety officials, utility company representatives, or the National Weather Service may also ask you to send in photos for damage assessment purposes. Check for injuries. Adrenaline may mask the pain of serious wounds. Check yourself and ask others to check you. If you are trained, provide first aid until professional responders arrive. Clean up. If it’s safe to do so, clean up breakage and spills. Take care of dangerous chemicals, medications, flammable liquids, and sharp or pointed objects – anything that could cause poisoning, fire, or injury. Keep pets and livestock under your direct control. Animals can injure themselves or disrupt response operations if allowed to run free after a disaster. 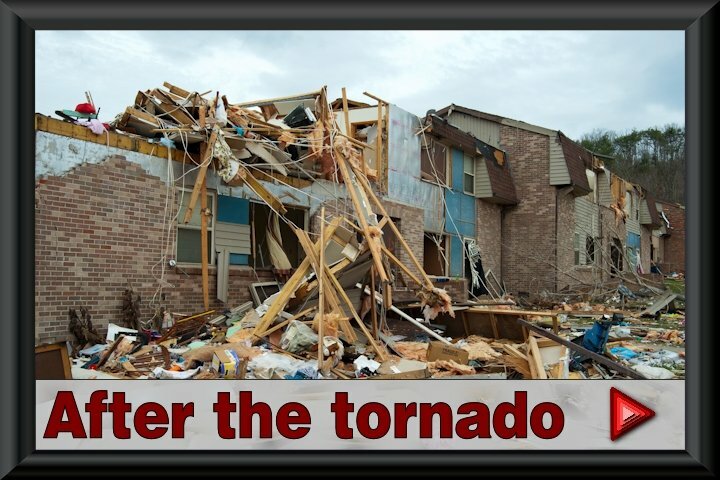 Visit our YouTube tornado preparedness channel to watch our hand-picked tornado-related videos. Review the American Red Cross’ tornado safety checklist. Read the National Weather Service’s online tornado frequently asked questions (FAQ) for a heavy dose of tornado science. 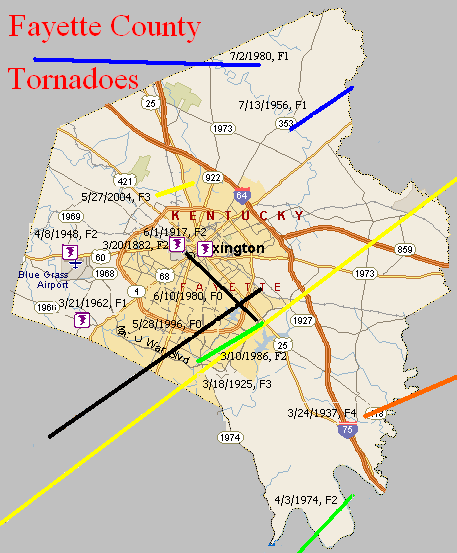 Also on the NWS’ site, learn more about historical tornado statistics for our region, the damaging F-2 that touched down in east Lexington in 1986, and the EF-3 tornado that struck Lexington’s Masterson Station neighborhood in 2004. 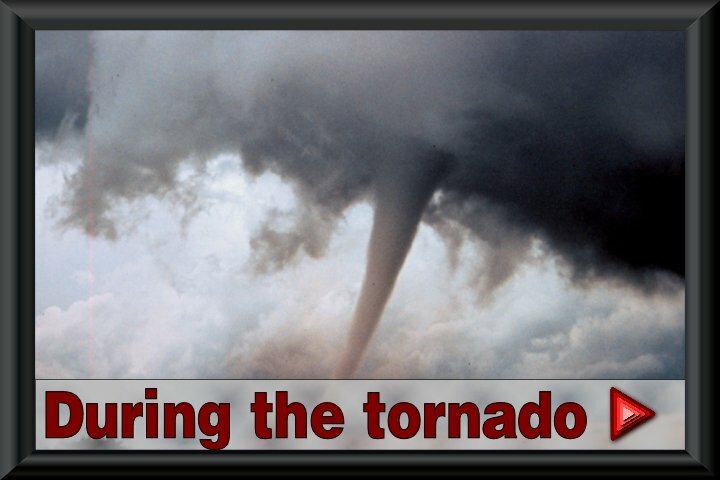 Read our blog posts with tornado-related content.